The German writer Hermann Hesse found inspiration for his works on Lake Maggiore. The special play of colours between Sea and Sun, which seems to exist only here, also brought him to painting. His pictures are characterised by bright and strong colours, joy and sunshine. What better scenery than this can there be for a true dream wedding? 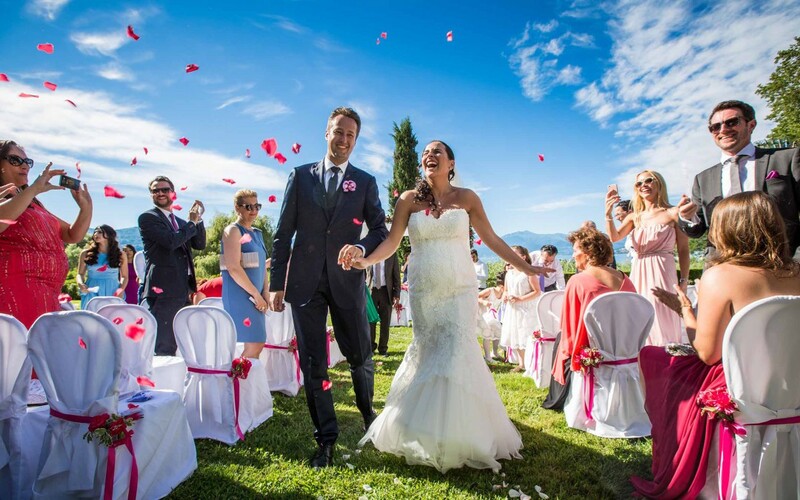 Our wedding couple, Selda and Rüdiger celebrated with a ceremony on Lake Maggiore with around 60 guests. Not only did the wedding take place in the stately lakeside villa, but the villa provided the accommodation for our bridal couple and their guests as well. The gorgeous garden and the villa amazed both the guests and newlyweds. It is not difficult to feel like a princess here. 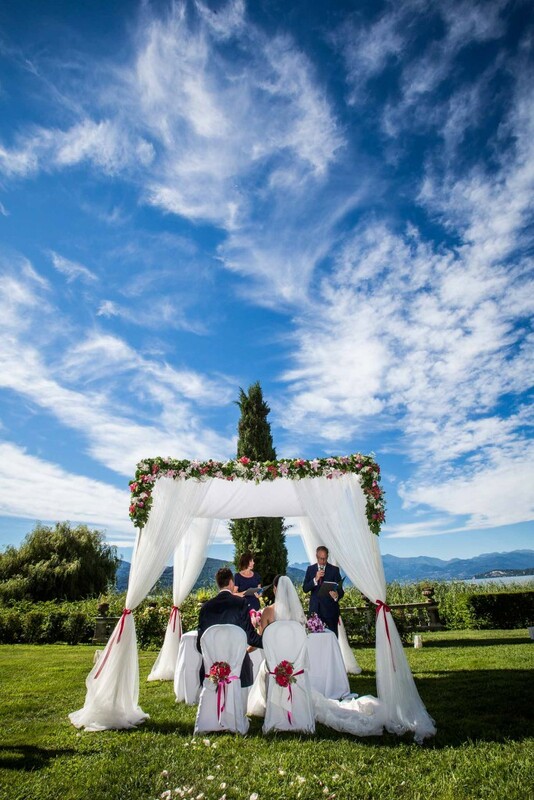 Particularly for larger wedding parties, a wedding on the Lake also offers the possibility of a good journey by car from Germany, Switzerland or Austria. Also, the North Italian lake region is distinguished by its proximity to Switzerland. Likewise, it offers unique excursion possibilities for the wedding party, but also a wonderful backdrop for the wedding pictures. Cities like Locarno, Ascona or Lugano on the Swiss side are just some of the possible destinations. 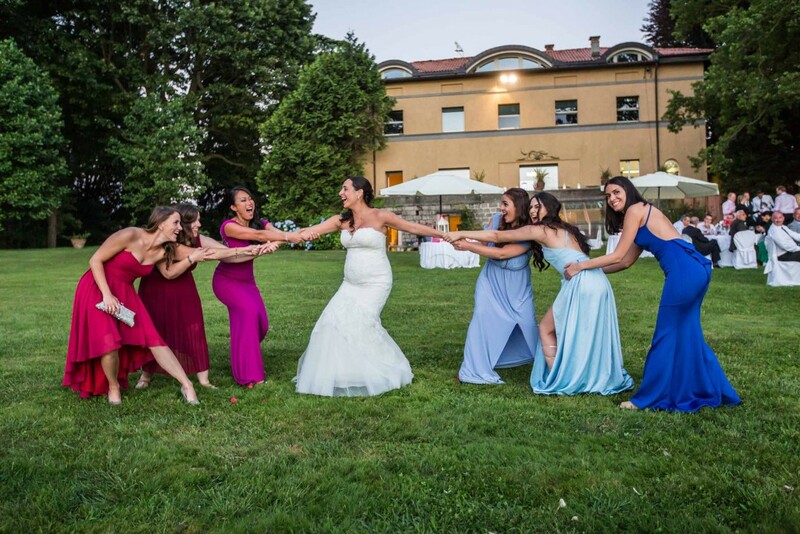 On the Italian side, Verbania, Cannobio, Luino or Stresa are worth a visit and give a special flair to the wedding photos. After the civil wedding ceremony, our wedding couple enjoyed an aperitif with a variety of nibbles consisting of appetisers such as Vitello tonnato, pasta and various pastries. The dinner took place at round tables in the garden of the property. So, the guests also had the opportunity to enjoy the fantastic view of the lake in the deep evening hours. They were able to dance in the shadows in the stately home’s garden until the wee hours, singing and celebrating Selda and Rüdiger. Guests can enjoy the lake directly from the water the day before the wedding ceremony. During a boat trip across the beautiful Lake Maggiore, they also have a glimpse of the landscape, which is characterised by mountains and valleys. At the end of the eve of the wedding there is a rustic spaghetti dinner. As is typical of the region. 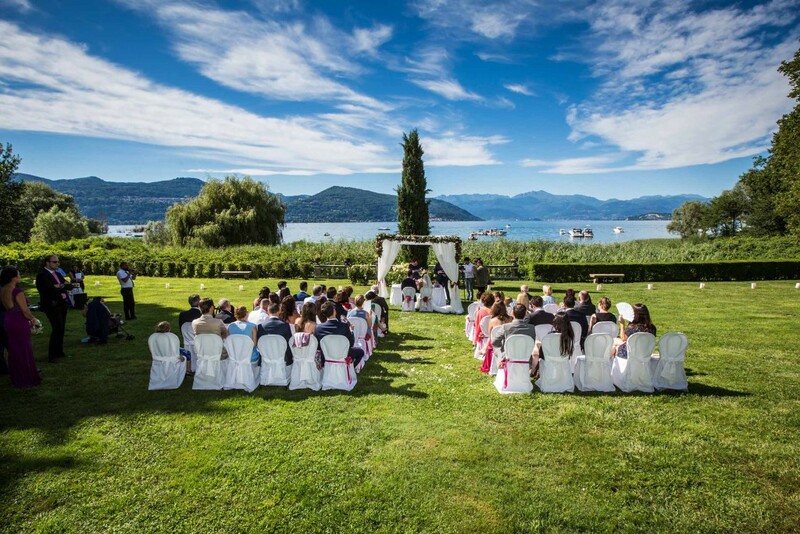 A wedding at the weekend in Northern Italy on Lake Maggiore, Lake Como or Lake Orta? We are happy to organise a complete package for you and your guests including accommodation and excursions.